„Open data is the idea that certain data should be freely available to everyone to use and republish as they wish, without restrictions from copyright, patents or other mechanisms of control. The goals of the open data movement are similar to those of other „Open“ movements such as open source, open content, and open access“ says Wikipedia. Worldwide a lot of initiatives have been started, the German speaking countries are yet restrained. To change this here will be made a suggestion which goes far beyond the demonstration of public toilets (Vienna/Austria), locations of containers for dogdirt (Bremen) or excerpts of the phone book (Leipzig) – even in Germany – but not only there. With a scenario-approach it will be shown what treasures the future might bring us. Nearly at no-cost. Let us been challenged from Open Data as Big Data. Let us paint a picture or a vision of the future, how the next round of Open Data could look like. Which Open Data are needed (as example in an moving-scenario for a family)? It is difficult to foresee which data the citizen might demand. Because supplying data will cost money you have to consider where to start (see e.g. Jörn Riedel 2011(German)). Partly experiments will have to be conducted: offering-measuring-evaluating. Then a decision is necessary whether to expand or to stop. Another approach than just Trial-and-Error is the development of scenarios (see German examples here or here or here): you set up a scenario and derive an expected demand. This way I will take here generically. As an example we take a family which wants to move into another town. Naturally we will need more than just one scenario to exploit the full benefit of public service data. But the moving scenario explores the principle. Let’s have a look at statistics: „4.8 million households every year change their residence – that are some 8,415,032 persons (roughly 🙂 with a yearly income of 154.9 billion Euro. An estimated 38.7 bn Euro go to moving related expenditures as furnishings, energy, moving logistics and telecommunications.“ (Translated quote of deutscher-umzugsmarkt.de). 16.0 % are four-and-more-person households (family household). Therefore about 750,000 family-hausholds in Germany move every year. And every time the households have more or less the same problems to find a residence and related public services for what the public administration has a lot of data which are published imperfectly . Where do we find a residence? Where are the numbers from the committees of valuation experts („Gutachterausschüsse„) for real estate sales, how high are the rents following a rent index? 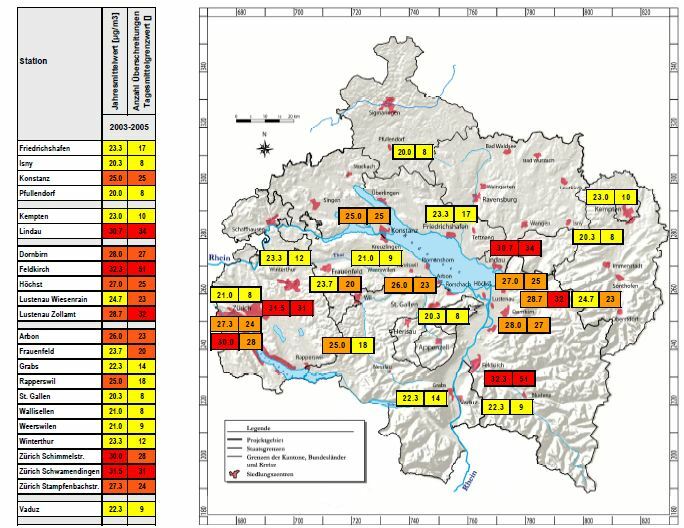 What high is the polutant burden in the area (sulphur dioxide, suspended matter, emission cadastre …)? How is public transport performing (bus, city trains, regional trains, underground, taxis, airports)? What are the frequencies? Can I reach my home even at night? Coming from outside? Can mom and dad go to work with it and the daughter to school or is there a school bus? Where is a kindergarten for little Mona? What are the qualifications of the kindergarteners? Which additional offers ther are? At what prices? Are the any quality reports? Which schools there are for Lisa? What is the rating for the teachers (see Spickmich), what are the results of quality inspections? What are the grades pupils reach in their degrees, what were the results of PISA and other benchmarks? Is there a care home for grandpa nearby when grandpa needs stationary care?What are the results of any quality inspections? What hospitals and physicians are in the area (all supervised by government)? What cultural institutions (operas, theatres, sport) are in the surroundings sponsored by government? Even with brief consideration you can see that you will quickly talk about some hundred thousands of £ or €: a real estate for 200 T£ will be bought or not. Or you rent a different flat. A lost year in the wrong school will cost your child some 100 T£ at the end of its work life. A wrong mounted artificial hip joint will give pain without end. If grandpa gets bad care our hard will break. Where are data at state or municipality located? Let us look at the items of the scenario sequentially and let us get surprised what state or municipality know at all and could provide to us. If you come to a new town you will need first of all an apartment: this may be for rent or to buy. 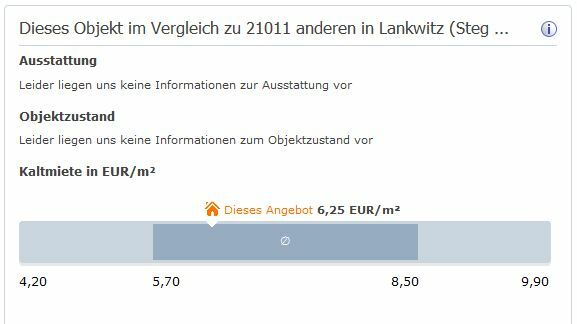 But you can not see that from Zehlendorf over Lichterfelde to Lankwitz-Ost the the rents per square metre sink down from 9 €/sq m to 5 €/sq m . You do not see also the gradient from the rents in Berlin-Centre (where the hip neighbourhoods are) down to Teltow in Brandenburg. On the one hand you have to retrieve every single point in the rent index and on the other hand there are no values for Teltow because it is outside of the Berlin walls though it is only one more station with the city rail from Lichterfelde-South, which is inside of the city and state border. For our family these few hundred meters are no big thing but for the government it is insurmountable. Yet. The rent level shows prices in different residential areas. In this example a relative big spread is shown in this neighbourhood but the chosen object is rather favourable. The price development shows prices over time. The quick advance of prices in the last two years lets the assumption arise that a purchase of a flat or a house could be more economically. The map of surroundings shows that the operator of the portal knows what his tenant need in the surrounding. But there are only markers with the location and address but not all the information which have state and borough in their data. While the set-up of rental indices is not forced by law, purchasing prices for properties have to be collected obligatory by committees of valuation experts („Gutachterausschüsse“) following the Federal Building Code. 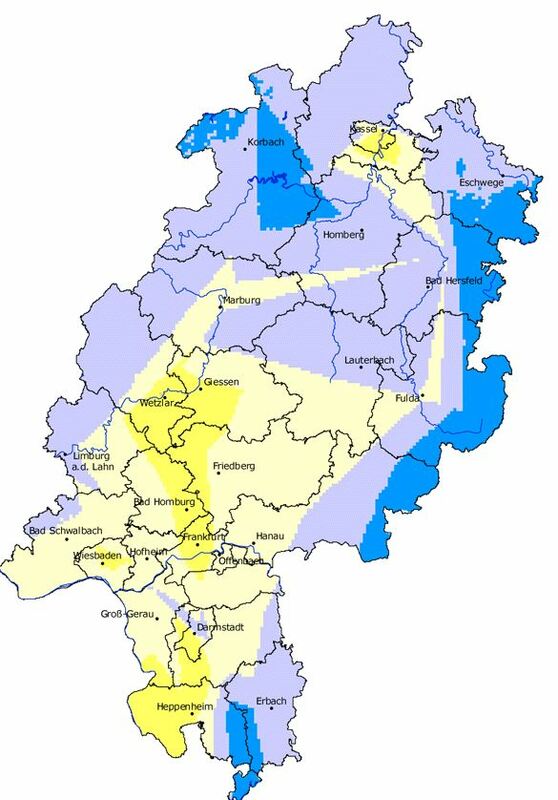 They may be found at the municipalities (as in Baden-Wuerttemberg), at urban districts and counties (as in North-Rhine-Westphalia) or state driven entities (as in Lower Saxony). Sales have to be reported to committees of valuation experts. They compile ground value overviews and real estate price surveys (as you can see it here e.g. for private source for New York City). For the City of Moers for instance a real estate price survey 2012 can be found here. There you can learn that a stand-alone single-family house with 538 square meter parcel of land and 159 qm living area in an average residential area and in an age-related normal condition built between 1975 and 2009 will achieve a average price of 326.000 € in Moers. In some regions such retrievals can be made electronically by the citizens temselves. The free IT-system BORISplus.NRW is also available as an App for iOS and Android. In Berlin such retrievals of property prices from the committees of valuation experts are not for free. In UK however you will find map based offerings from private providers which cover the whole United Kingdom. From the example of Brixham, Devon, you can see that average prices as well as estimated prices of individual properties are shown. The real estates in the near of the harbour are with 400,000 £ rather expensive while the average price of 202.882 £ indicates that there are also much cheaper properties available. For many measuring stations you can retrieve the values alphanumerically e.g. the pollution of the air with sulphur dioxide (SO2), nitrogen monoxide (NO), nitrogen dioxide (NO2), ozone (O3), methane (CH4) and others. Die Lake Constance conference (Bodenseekonferenz) even achieved with a border-crossing „platform air“ (Plattform Luft) to show the fine dust pollution around the Lake Constance (Bodensee). But would it not be much easier to show the data in the same map, where our family is looking for a school so that we can see at once what our children will breath in? And switching by a button form pollutant to pollutant instead of absolving an scientific study of emissions and reading of the Technical Instructions on Air Quality Control (TA Luft) reagrding the Federal Immission Control Act Bundes-Immisionsschutzgesetz (BImSchG) to google all the values? In the medium run all the values will be available electronically anyway. On the emissions side there are maps yet today for e.g. Greenhouse Gas (CO2) in the USA from the EPA (United States Environmental Protection Agency). In Berlin we can observe a paradigm shift since 1990. Shortly after the fall of the wall people wanted to build a home in the exurbs („Speckgürtel“) around Berlin. You needed two cars: one for Dad to get into the city for work, another for Mom to get the kids in the afternoon to ballet, piano lessons and sports. 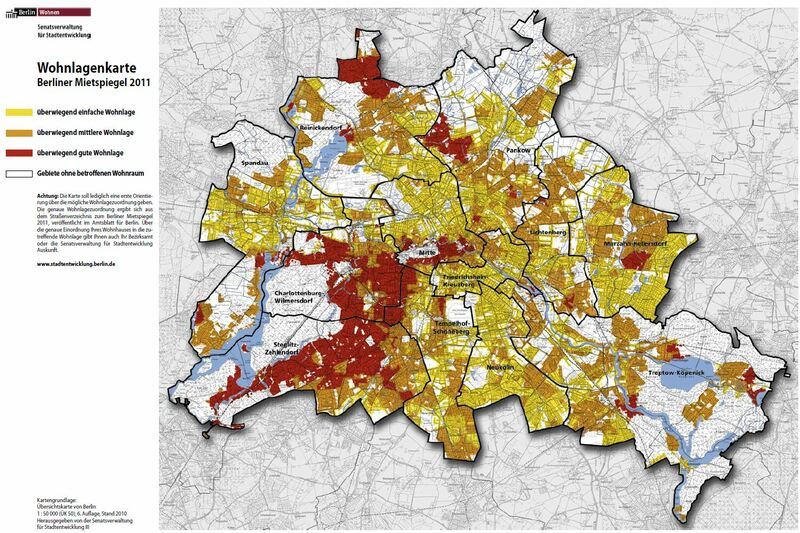 In the early 2000s this changed and younger couples wanted to stay in the city („Prenzlauer Berg“) instead because they wanted to reach the utility installations, the super markets and the kindergartens by foot. And both parents wanted to go to work by city train. For the planning of mobility at a new location it is important to get the facts from remote. I want to start with a British example which I used in UK in spring 2012. The tour goes from Brixham in Devon over London to Cambridge. The picture shows clearly that with Google Maps you can comfortably plan a route with public transportation (as also by car, by foot or by bicycle). 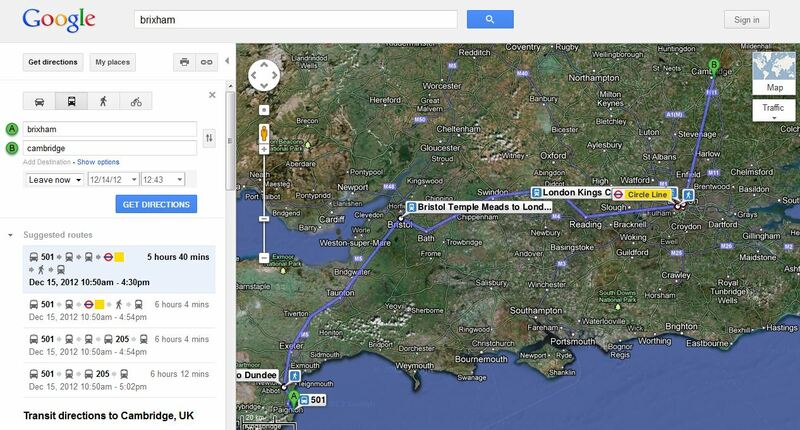 The map shows also that in the UK public transportation is coordinated nation wide in Google Maps. The start is in Brixham with bus, further on with train (one of the many carriers in UK), through London by the Circle Line in the subway and afterwards by train to Cambridge. This is status quo in UK in the end of 2012. And in Germany? In 2012 the German railway (Deutsche Bahn) reached an agreement with Google in 2012 to do something similar. But although the Deutsche Bahn AG has excellent data in their HAFAS-System, which I used because of better usability several times for trips by bus within Berlin with BVG (the local operator of busses and subway), they put in Google only part of the data so it is nearly useless. They stated that they omitted due to copyright reasons buses, undergrounds and regional trains of different operators as they are in HAFAS. Unbelievable! Everywhere in German the public transportation is kept alive with money from the tax payers (the Deutsche Bahn AG is a 100% subsidiary of the Federal Republic of Germany, regional railway traffic is ordered by the 16 states with tax payers money from federal, the municipalities often have own entities for public transportation (bus, underground, etc.)) but the government did not acquire the copyrights for the schedule data from the companies who they own or pay? What a hell of mismanagement! The Berlin Transport Authority (BVG), a public-law institution and a 100% subsidiary of the State of Berlin got in 2011 257.5 Mio € from the State of Berlin (their owner) out of a „Traffic Treaty“ (Verkehrsvertrag) and public service is not able to free the schedule data to the Deutsche Bahn AG. How weird is that at all? How miserable exposes my government(s) themselves if I compare them with UK. Instead of achieving a to UK comparable level of service to the citizens the activists have to beg like medieval beggars to get the schedule data or at least to use them legally. The Deutsche Bahn even threatens with legal actions against the activists if they use the taxpayer paid schedule data as open data. A dishonourable extravaganza in the light of the performance of the United Kingdom. To get not misinterpreted: I talk only about static schedule data of a schedule which is paid by tax payers. Besides this the BVG delivers a brilliant service at every bus stop where you can read in real time with a smart phone with QR-reader when the next bus actually arrive and not only when it is planned. The City of New York with the fascinating mayor Bloomberg publishes the real time data of the MTA subway as open data. Also in France things are more developed. Google has an overview which schedules that are integrated in Google Maps can be found here in Google Transit. But the national German integration of timetables is a disaster. The consequence is that the mobility of the citizens is hindered because data take more effort to get. A positive example from the economy for public transportation is the application taxi.de. Instead of developing different applications for every single city a nationwide platform was built. This platform is of advantage for the frequent traveller who does not want to learn how to download a lot of taxi-apps for different towns but who wants to get in every town a taxi safely and quickly. for municipal kindergartens you will find the pay grades of the employees in the budget. You can identify how much staff there is and what qualifications it has proportional to the pay grade. The City of Mülheim an der Ruhr shows up in the Internet the posts for 8 Kitas in their employment plan. But at some local authorities as for example the boroughs of Berlin there has been a spoofing. Some Kitas were rebranded as owner-operated municipal enterprises and don’t appear in the budget of the city any more. There bookkeeping is switched from cameralistics to double entry bookkeeping as merchants do it. But they do not publish their annual accounts in the electronic „Bundesanzeiger“ like most normal businesses are forced to by law. The quality of the building structure is supervised by building authority and the local health authority. From time to time there is the thread of the withdrawl of the operating licence. Catering: the supervisory body knows whether the Kita cooks itself (may be together with parents) or whether catering is outsourced. 1.) The quality of the building structure was ignored so heavy that a private operator would not get an operating licence in some buildings (what hindered privatization) . 2) Trainees were coded as full vigours to fulfil legal requirements to the staff. 3.) Self cooked catering was outsourced to cheap junk food. Buy low sell high: on the other hand the contribution was doubled (!) for some parents with higher incomes for the decreasing performance. Some parents in the Southwest of Berlin went to court therefore and paid only under reserve. I terminated the contract in those times immediately (§242 BGB (good faith/bona fide) and due to the proportionality principle of the German constitution). Assistance measures of the are different due to the underlying pedagogical concept. How nice a Kita can be if the local business taxes are fizzing is shown by the City of Walldorf where SAP AG has its residence. Additionally for a lot of Kitas quality reports can be provided where external experts evaluate whether quality is acceptable for users (children and parents). Public school buildings are mostly operated by the municipals. Teachers are employed, paid and supervised in Germany by the state. A public rating of teachers is allowed (see Spickmich-sentence). The Outcome of schools is measured statistically and anonymously in different benchmarks to improve the schools (see PISA-studies of OECD, IGLU-Study in Germany, or TIMMS (see also SPIEGEL). The education authority gets the final results of the pupils and conducts class inspections randomly. In special school inspections quality reports are worked out. In Brandenburg and North Rhine-Westpalia these quality reports are published in the Internet. For example look at the report of Grundschule Zepernick in Panketal for Brandenburg and of GH Johannes-Rau-Schule in Bonn for NRW. The public service has all data what we need to hope for an optimal school result (outcome) for our little Lisa so that she can enjoy her little life and is well prepared for her further way. We have just to open the data and give access to them. Sounds simple? Is simple. With care homes (in the UK see www.carehome.co.uk) it is similar to kitas and Schools: you want to know something about building, features, staff, concept and vision. A nightmare scenario instead have Claus Fussek and Gottlob Schober published in their book „Im Netz der Pflegemafia“ („In the net of the care mafia“): when grandpa gets bedridden and has to be fed by hand then it is too labour-intensive. Therefore grandpa will be tube-fed. But now he must be fixed to the bed what needs an allowance by court because of the deprivation of liberty. If he is not able to walk to the toilet he will need the new and big diaper with a capacity of 3.8 litre. This will grandpa stand some two or three months. Then he will weigh only 40 kg and will need no more care because he dies. To counteract such failings Germany introduced in 2008 a new law (Pflegeweiterentwicklungsgesetz) that demands that every care home will inspected by the Medical Service of the Central Association of Health Insurance Funds (Medizinischen Dienst der Krankenkassen (MDK)) at least every four years. Since the 1st of January 2009 these quality reports of these inspections are published on the Internet. For market transparency it is necessary that prices are known which are demanded for a residence in the care home which have to be paid additionally to the money from the obligatory care insurance. This question will become of more importance in an ageing society with rising care case (at least until 2030) even if two thirds of the care cases will be further nursed at home. An ambulatory care at home is cheaper than a care home and fits the wishes of the senior people (which I also found in my unpublished study „Living at home in seniority“). In a lot of other domains the government is supervising as state or municipality. While supervising many data are gathered by legal force. But the data are not provided to the citizen or only with high hurdles if they are non-personal or can not be connected to individual persons so that there are no problems with privacy and data protection. Every regional planner or urban developer or real estate investor who wants to develop a working community knows how hard the search for these data is. For occasional users as moving people it is even harder without any practise. The principles were shown exemplary above. Therefore we will not discuss hospitals, physicians, other actors in health care, food retailers or other retailers, restaurants or other service provider any more. You can click the red points on the map. A window will pop up with name and address of the weapon owner. On the one hand you can not deny that it can be determining for the value of a residential area whether there more or less crimes (how safe and secure is the neighbourhood?). On the other hand are such excessive individual-related data not possible with German data protection and privacy laws. You can recognise the protective function for the citizens but not whether hinders a reintegration into society as the medieval pillory did. The examples show that the government gathers masses of data which are used only poor. Only seldom they are provided to the citizens in an appropriate form. The moving scenario shows also that open data answers not only convenience questions („I have to pee“, „My dog has to defecate“) but that open data is related to really tough economic decisions of the citizens with impact to hundreds of thousand €, $ or £ for investments or consumption. How can we make available these open data? We have seen now that the government gathers immense amounts of data using tax money. But not all data are provided to the citizen in an appropriate manner. If we would follow actual fashion trends we would say naturally that we need apps for smart phones because the citizens is forever under way and his need for information has always be satisfied immediately. For public toilets this is totally correct to look for a place of release with activated GPS-search in a local app. This business is of a transaction value of 30 to 80 Cent in well managed public toilets. Besides this there are also public toilets for free. It is the same as for content in the internet. According to the business model for government it is more attractive to wait for achievements in public elections but for reveneues to amortize the investments to the apps. The volume of provided data is likely small. There is no big thing for addresses, telephone numbers or dates. A more interesting question is whether every single municipality of the over 6,000 has to develop their own app for the some purpose for incompatible operating systems like iOS from Apple, Android from Google and Windows from Microsoft. Some time ago there occurred the „Maerker„-applications. Citizens can report online incidents (tree dropped down, carcass on the street, garbage at the wayside, street lamp defect) which are routed automatically to the administration. If the application is of high quality then the citizens can always see the actual progress. In IT contexts after ITIL you would this an electronic channel to the first-level-support of the user help desk. Increasingly there are not only local applications (for example the City of Bonn with anliegen.bonn.de) but also national applications. Stoerung24.de or mängelmelder.de creat troubletickets for the whole country and route them to appropriate administration. If the volume of the data gets greater it may be helpful to display geographic dispersed data on a map. The City of Cologne for example develops from different map sources of its OpenStreetMap offering „in tireless Sisyphean challenge“ (their words). With a selector you can display different data of private supplier (cinemas, free theatres, restaurants, hotels, whatever you need for evening entertainment) so that with the help of markers even parts of the actual cinema program can be shown. This application is a proprietary one from the operator of the Cologne portal. This is obviously not an official work as of §5 „Urhebergesetz“ (German copyright law, see below) because there are copyright statements Netcologne GmbH and license conditions. Open Data in public service are mostly data with a geographic connection (with the exception of debts: they are anywhere). This is normal because public service legal entities are defined on geographic boundaries as federal or kingdom, state, region, or municipality. 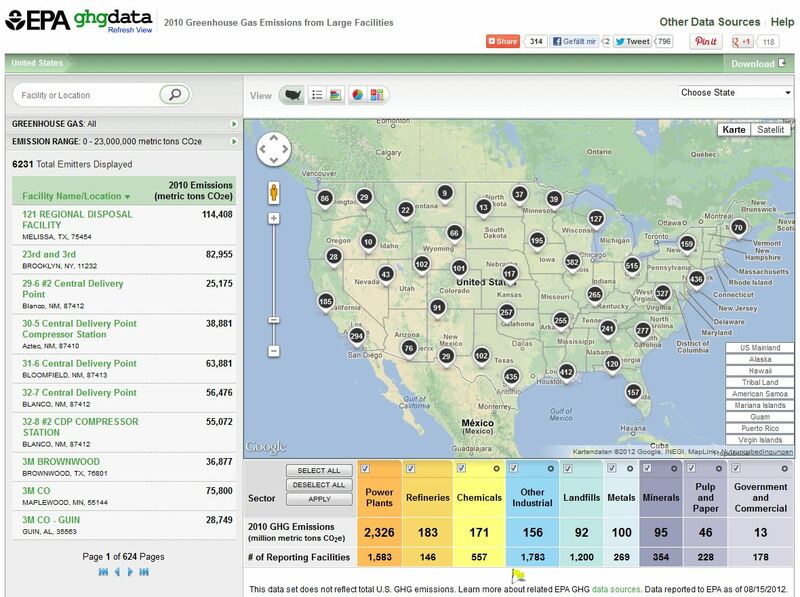 Therefore it is a very good option to navigate through the masses of open data with geographic maps. At least we will find three leading edge products or technologies: Open Street Map (OSM), Microsoft Bing Maps and Google Maps with Google Earth. Open Street Maps has a lot of friends within public service because it is an open source project and you do not have to bother with licenses and costs. Local enhancements are eay (see Cologne above). But the features are much less than with Google. Microsoft Bing Maps is after the failing of Apples map adventure on the iPhone in 2012 a serous commercial competitor to Google. Bing Maps has a fast interface, a routing function and a lot APIs (I have managed projects in the real estate industry with Bing Maps). They have Maps and satellite pictures an a lot more. A disadvantage compared to OSM that you have to pay a licence fee for Bing and Google. With Streetview you can see the situation on the street in front of your kindergarten. Is there enough space for parking for bringing and fetching the kids? Are there any secured pedestrian crossings so that the kids come home alone? With the integrated service Panoramio you can look photos of your area of interest. 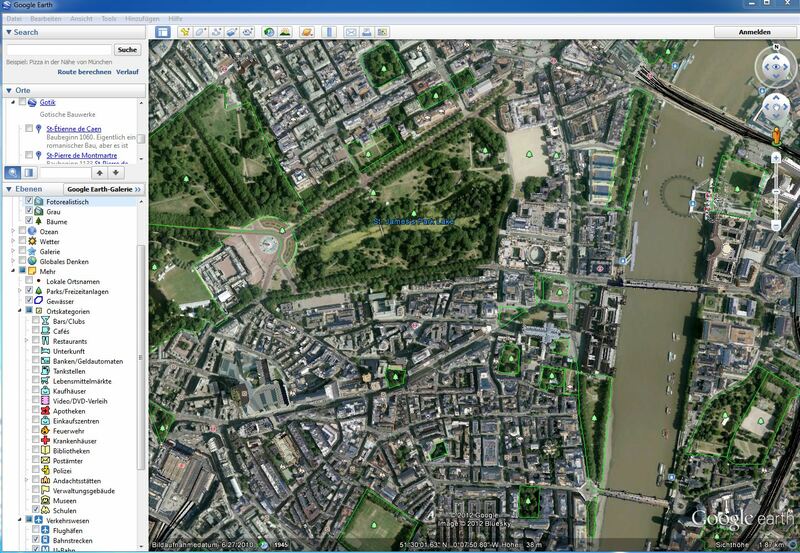 With Google Earth you can even integrate 3D-objects into the maps. The various options of Google Maps I have shown exemplary in the article Gotik und Google – ein Dreamteam where you can see from the example of more than 200 Gothic buildings in Europe how with primitive markers on a map you get access to a vast amount of additional data . You may call it visual data mining. With public services you have to consider that the data sources can originate from different government layer. In New York City for examples teachers of public schools are paid from the municipality (with subsidies from the federal government which pass through the state. In Germany the teachers are paid from the state but the buildings from the local municipality. Who shall do it – which actors? For small open data sets it became established that the public service conducts contests. For small trophy money (between 10,000 and 20.000 €) there will be built small apps, mostly mobile. Federal Administration in Germany had started a contest Apps4Deutschland (1. prize 4,000 €). The State of Land Bremen started an idea-contest Apps4Bremen. The winner in Bremen could apply for a normal public funding (50,000 € as max. 35% of the production cost). The small funding for real projects is being criticized in the meantime publically. In Berlin there is a Berlin Open Data Portal which has by now a very meagre endowment with data. Under the subject education you will not find all kindergartens and schools. There is also an Open Data Blog, but there is not much traffic. The last entries are from 17th of February, 2013 and 11th of October, 2011. There is a text „Berliner Open Data-Strategie“ (Berlin open data strategy – so easy is German :-). This is not an official work of the State of Berlin but a text which talks about possible open data strategies. In an open data context it is rather bizarre that this is not a official work after §5 UrhG (German copyright law) but under copyright of the Fraunhofer Society which is a private assembly. The usage of the text (even an electronic copy) needs written permission of Fraunhofer. Strange. Is this Open Data? In Germany the development of Open Data is very sluggish. The Federal Government of Angela Merkel refused to join the Open Government Partnership as USA, UK or Brasil. An Open Data Network has been established but without participation of government or economy. In Munich there had been an Open Government initiative MOGDy since 2010 but these activities have fallen asleep. In the meantime the German federal government has opened an own AppStore: GovApps.de (not really 5th-Avenue-like as flagship stores in NYC of well known fruit companies 🙂 There you can find exciting applications. Under the category education for example the dining-hall menus of five universities in Münster/Westphalia or under family the city cleaning in Hamburg (as Webapp, Android and iOS) and the theatres in Cologne (for Android and iOS). In November 2012 the Zweite Deutsche Fernsehen (2nd German TV – public service broadcasting like BBC) noted for this portal (operated by Fraunhofer society) that there would for North Rhine-Westphalia (some 18m inhabitants) 24 applications, for Berlin 6 applications and about 500 visitors per day. It was criticized that there were no MS-Windows applications and that there was missed an opportunity to start an open data portal all at once. Furthermore it was mentioned that developments in the United Kingdom were far ahead. For German municipalities the KGSt® (Kommunale Gemeinschaftsstelle für Verwaltungsmanagement) has started an initiative where they develop an position paper to Open Data. In the project Code4EU there will be, starting in 2013, in some European cities „Fellows“ working for 9-12 months at payment of 10,000-40,000 €. This initiative is propelled from the academic space with funding from the EU. The project Code4America is propelled from civil society and mostly funded by charity. They try to help the government by a bottom-up-approach without participation of government. A lot of open data portals have opened but too often only with primitive collections of data which do not exploit the public potential. Examples: open-data.europa.eu, data.gv.at, daten.berlin.de. Here the citizens have to demand without cease that those data he has paid for will have to be accessible for him. The model of democracy in Western democracies does not allow that administration ignores the property of the citizens. They has to serve the citizens: this is the core of the concept of „Public Service“. In Germany the reigning great party CDU (Christlich Demokratische Union) achieved on their party convention in December 2012 to not mention Open Data and Open Government in their programme. This is not fit for future and my be corrected in elections in 2013. But other coalitions like green-red do not make everything right automatically. The sluggish development of the freedom of information law in Baden-Wuerttemberg is a cautionary tale (see also the presentation of Vortrag Jörg Tauss on the 29th Chaos Computer Club Congress December 2012 in Hamburg). Also the federal commissioner for privacy and freedom of information Peter Schaar criticizes that the federal freedom of information law is implemented unsatisfying and that Open Data must be covered with freedom of information („Open Data: Transparency by Default“). Also Britain sees Open Data in a clsoe connection with their Freedom of Information Act where privacy plays a constituting role. Transparency of the governance is a necessary prerequisite for the confidence of the citizens for their government. While in Germany a central intellectual approach and management attention is missing (chancellor Merkel does not show leadership for Open Data and Open Government) with only a few applications with local or little data the situation in the United Kingdom is totally different. In the United Kingdom Open Data is matter for the boss. It is bottom-up encouraged and top-down supported. In the Cabinet Office (Whitehouse, behind Downing Street 10, London) was in June 2012 from Her Majesties government presented a paper to the parliament: „Open Data White Paper – Unleashing the Potential“. The Right Honourable Francis Maude (Minister for the Cabinet Office and Paymaster General – see also Francis Maude in the presentation on Youtube, strongly recommended!) is responsible for the British Open Data strategy. The paper is divided in several sections: Building a transparent society – Enhanced access – Building Trust – Making smarter use of data – The future: a truly transparent society. In a classical strategy process there is first shown a vision. After that a strategy is mapped out to let the vision become reality. A large space is dedicated to Privacy with the goal to lead the Open Data initiative to success instead of being a flop due to lack of privacy. Also to not let privacy officers talk it to death. A Open Data Strategy Board was founded which gets support from a Open Data User Group in Cabinet Office. For the implementation all departments are obliged to set up an Open Data strategy for their own department and report progress regularly. Therefore the British Government sits in the driver seat for Open Data to free the open data from governmental claws and offer them to the citizens for their benefit. The assumption is that free accessible and free usable data get in to commercial or non-commercial applications where they create without license fees benefit for the citizens.. The British government does not count only on teenage hackers and young adults with bad or even no payment but also well paid top officials get involved. They take 10m £ to seed finance the Open Data Institut to accompany the process by the science world and to support businesses and start-ups. As directors they could acquire Sir Tim Berners-Lee (inventor of the World Wide Web) and professor Nigel Shadbolt from the University of Southampton to locate the ODI in the City of London. For readers who do not know the Cabinet Office it has to be said that there is also an department for effectiveness and efficiency of the British government. There the standards ITIL (IT Infrastructure Library – for IT operating) und PRINCE2 (PRojects In Controlled Environments – for project management) were developed, disseminated and as Best Management Practice maintained. The British example shows up a successful model how a government provides their own data for the citizens and invites the business to create new business models for new benefit. The British approach covers local, regional and national aspects where open data can be provided. Questions stay open to determine possible actors from civil society, government and business. We have a supranational or global point of view. Kindergartens, school or care homes are not national unique. The yare all over the world. For our scenario of the moving family from above this means that we can also think about movings over national borders: What if the family goes to Shanghai, China, for three years? What if they move within the former empire: India, Canada, Australia? What if the family goes for a postdoc for three years to California? The search for data is then global. Are the tools then global, too? Do we think global when we construct our national Open Data strategy? Are local enhancement for OpenStreetMap the right way or will there develop global standards (even taxonomy and ontology)? Is it enough if we only provide the raw data? Only provide data or also applications? Up to now most countries think only about providing raw data in different formats for local, regional or national application. But if you ask whether you need global data for a single application because of global demand then you see also other actors who might play a role in the game. With geodata in Germany we have seen that after decades of process we failed to provide geodata simple and on a national level. Slow and proprietary applications in Brandenburg for example did data of Berlin (in the middle of Brandenburg) black out. 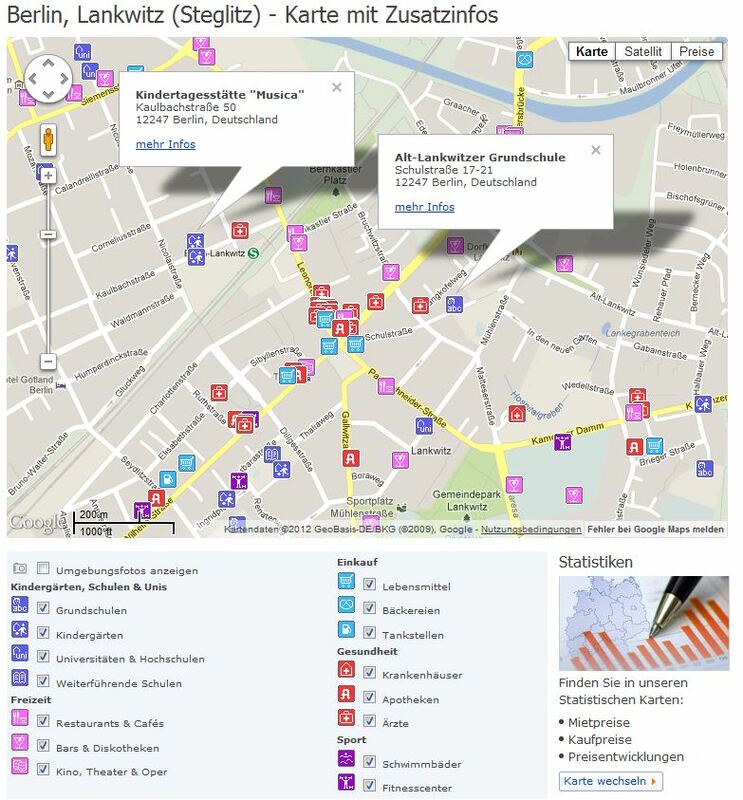 A portal EduGIS Brandenburg provides no data yet for kindergartens and schools. 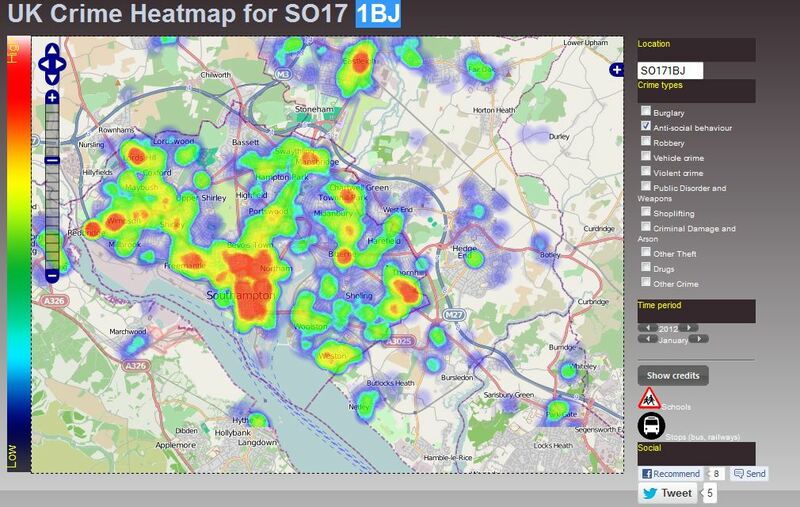 The scenario for the moving family needs georeferenced data for flats, houses, kindergartens, schools, public traffic, etc. It is not about the question which address or telephone number a school has. It is about questions which Francis Maude asks:“How good is my childs teacher? How safe is my neighbourhood? How effective is my hospital? When is the bus coming?“. If we look at the results of the last years then it is not expectable that (in Germany) the government alone in an appropriate time frame simple, usable applications for those above mentioned purposes will create.The bringing in of the civil society and application developer on an amateur basis also leads not to a quick win. Even in the academic area you to be careful because the academic system wants to generate knowledge but not benefit. For example there is an actual study of the Feral Minister of the Interior (Germany) with the title „Open Government Data“ which points to SAGA (Standards und Architekturen für E-Government Anwendungen/ Standards and Architectures for E-Government Applications). SAGA is a propriety national collection of standards which where developed in the academic without proof of concept as it mandatory with Internet standards (RFCs from IETF). For instance there has been in the version 2.0 (page 105) the German protocol MTT (MailTrusT) Version 2 based on S/MIMEv3 declared as mandatory for the German federal administration. But as signature algorithm even RIPEMD was allowed. This is not compliant to S/MIME. Instead of enlisting large and global producer of e-mail-products there was a national non operating standard defined. This led to the collapse of the introduction of e-mail with qualified signatures in the early 2000’s years in the German federal government and the investment was with no benefit. In the opposite in the UK there e-mail with simple signature legally binding as proposed as Electronic Signature after EU-directive 1999/93/EC „Signature Directive/Signaturrichtlinie“: you only write down your name in 7-bit US-ASCII or put in a scanned hand made signature. First steps of joining professional developer were seen with Google Maps. For some time you find now geodata of the Bundesamt für Karthographie und Geodäsie/Federal Office for Cartography and Geodesy. Therefore it would be thinkable to participate for example Google (oder Microsoft) in two possible variants because they have proofed that they a) can create global scaling maps-applications b) can lay under performing platforms and c) can manage the administration of global and complex access rights. Google and some core countries (e.g. USA, UK, DE, Brasil, Kongo, China) set up an Public Private Partnership (PPP), decide standards for the application data with highest benefits (taxonomy, formats) and the presentation of data (see scenario above with transaction volume of several hundreds of thousands $/€/£/CNY (China Yen)) and create a global application. For financing there may be used younger business models as for example financing through advertising revenues but taxes. Data protection and privacy would have the chance to happen on a global base instead of national or regional isolation. The core countries do not set up a PPP but commit themselves to deliver data standardized and maintain them. Google (or someone else) commit themselves to develop applications and operate them. For the end user (for instance our moving family) access should be of no direct costs. Mobile Usability is of high value hat hohen Wert,but should not have highest priority. With priority 1 the benefit should be focussed on. If the actors could not find a starting configuration on global level it could be imaginable to start on regional level for example on EU layer. The public service is also interested to minimize the costs for learning environments. In the area of IT an European approach proved successful but this does lead to global isolation. This is an exciting challenge but we will ask later (as Francis Maude said it) why we did not use much earlier the treasures in our public service data. What barriers to progress there are? Worldwide we can see that the subject Open Data is spreading with different velocities. In the UK it is rooted in the governments leaders and is driven with verve. But in Germany some of the first mover activities fall asleep (e.g. „Mogdy in Munich„) without outcome. Naturally there are a lot of barriers as with any change. (But with „Change“ and „Yes, we can“ you can even win elections.) Two of the should have a closer look here: the cultural barriers and the copyright barriers. Employees in public service are used to execute laws. These may come from God, the Emperor, Her Majesty the Queen or elsewhere. But they are given. Today someone now demands that they should make their own thoughts how to make new benefits with the data they collect by law. This is a new challenge that needs some time to master it. In some countries it took a long time that public service used the Internet. Ever Microsoft toook until 1996 to support the Internet while some competitors used it much earlier (I got connected 1988 as an employee of the public service and set up my first webserver 1993 as commercial). Business and citizens got much quicker connected than public service and conducted transaction of many billions of €/$/£ over the net. Facebook has one billion users while some regional German privacy officer fight Facebook instead of solving privacy issues. In the meantime it is discussed whether under the label of data protection with money from the taxpayer anti-American conspiracy theory is produced. To give another example for barriers against change let us remember the 1980s. In the USA the Internet spread quickly. The first hackers and the first worms came up. The public domain coder for TCP/IP was integrated into the Unix-workstations of Sun, Apollo, DEC, IBM and so on. Universities got therefore the software for free. But the German Government (BMFT) refused to connect the universities to the free Internet but demanded that the universities should use the OSI-protocols for networking. These were theoretical protocols of the state owned telecommunication providers which wanted rescue old technologies like FAX and ISDN to modern times. But the universities opposed their sponsors and connected pragmatically to the internet with open protocols. So I came in 1988 to the Internet with my 25 years jubilee in 2013. Not that much compared to the Diamond Jubilee of Her Majesty the Queen of England, but still! But this tough against the citizen directed policy came up again in 2012 when the ITU-negotiations failed where the old losers at the WCIT conference in December 2012 in Dubai again wanted to hijack the Internet. These retarding moments of some people were of no use or benefit. They took unnecessary time and money from the citizens as we can see from the exorbitant success of the Internet. Another byeffect or main effect of transparency should not be kept as a secret. If with only a few clicks it gets visible that an residential area has low rents but high criminality, the schools and kindergartens are bad and there is no good connection to the public transport system then these objects for renting or buying are unattractive for the citizen. This can mean serious disadvantages for the owner or landlord but also for the public service. in an extreme case then some estate have to be „taken out of the market“. That means controlled demolition where the governemnt eventual has to pay for the demolition. Tis is so since the beginning of the 2000s years in Eastern Germany where al lot of estate of prefabricated houses („Plattenbausiedlungen“) had to be broken down (in the State of Brandenburg up to 55,000 flats: Eberswalde, Cottbus 6,000 flats; Halle; in Saxonia about 100,000 falts; Sachsen-Anhalt, and so on.). A keeping as secret of the real situation and the risks by government cannot be an alternative here. Only with transparency the government can achieve the necessary trust from the citizen even if has to use a lot of taxes to demolish unused public houses. In the mean time the citizens comprehension is declining if their taxes are used not optimally. But a lot of employees of the public service see Internet usage as taken for granted so it is getting always more easier to get first mover for open data activities. But requirement therefore is always management attention. In the USA it is taken for granted that research outcomes which are financed by the citizens by taxes are belonging also the citizens. „Works of the United States Governement ausgenommen are excluded from copyright law and may therefore be considered to be in the public domain„. This has its root in the Roman Law where res communes, res publicae and res universitatis cannot be private property. Carol M. Rose indicated it 2003 in an article. The best known public domain example today is the TCP/IP-protocol suite in the Internet. It was developed on behalf of the US Department of Defense and is now a copyright backbone of the whole Internet. In the United Kingdom the government urges that not only tax financed results are open accessible but also those of charities (particularly charities are sponsored by tax reductions). (Laws, regulations, official edicts and announcements as well as decisions and official head notes enjoy no protection by copyright law). Every (open) data which is published as official announcement has no copyright protection. Even with databases (ruled by §87a-e UrhG) the Federal Court of Justice (of Germany) is the opinion with official data bases that there is noch copyright following §5 UrhG. But this is on quarrel due to uncomplete EU law setting. Analogue to the right of private databases should the rights belong to those who paid the investment. In this case the citizen with his taxes. In Austria there is an analogous regulation in §7 of the Austrian copyright lawd: „(1) Laws, regulations, official edicts and announcements as well as decisions as well as exclusive or mainly fpr official usage produced official works of the in § 2 Z 1 or 3 denoted kind enjoy no protection by copyright law.“ Also in Switzerland is is expressed similar im article 5 of their copyright law. Therefore there is next to nothing in the public law which opposes a copyright free distribution of open data as offical announcements. A little bit problematically is still now the distribution of data bases (§87a-e UrhG). So copyright law should be sharpend and made more clearly that even geodata for maps should be free of copyright and in the public domain is the work is paid from taxes. In private law there is some spread of licence procedere after Creative Commons for licensing the usage of digital content. Creative Commons offers a complex framework of licence options. But you can only give a licence if you have rights. Copyright free official work in the public domain cannot be used by licence. Therefore mentioning of CC in reagrds tro open data is always full of questions, especially if their is a body that own the rights which ist not intended for official work of governemnt by the legislators (see above). which actors could promise successful projects. Behind the scenario there are transactions with value up to several hundreds of thousands € which can be influenced enormously by the usage of open data. This is different to the smaller transaction of today with public toilets, theatre repertoires or dining-hall menus. Compared to the „Grand Challenges“ as global warming or demographic change they are still of midrange extent but larger frequencies. Existing barriers are discussed and options to overcome them. But optimistically with American easiness we can say: There is always room for improvement. Even if the first activists are lining up at the roadside. Even if the barriers seem to be bigger than the forces of the activists to overcome them. We shall overcome. Employees of the public service who assume today they could avoid open data will fail similar like the ITU-combatants with OSI-protocol suite instead of Internet failed or Don Quixote with his fight against windmills. And they will see like during the introduction of the Internet the they themselves will get benefits from open data in the same way as their children will benefit, their relatives, all citizens. Similarly as with the barriers against the Internet some 25 years ago we don not have today a real imagination what fascinating opportunities we will have in some years. How our live will get improved, simpler, more transparent (the public data), more effective and more efficient, richer. Independent of class, income, location. As it is appropriate for free and democratic nations. The future is bright and open. Berlin Bauakademie (Building Academy). 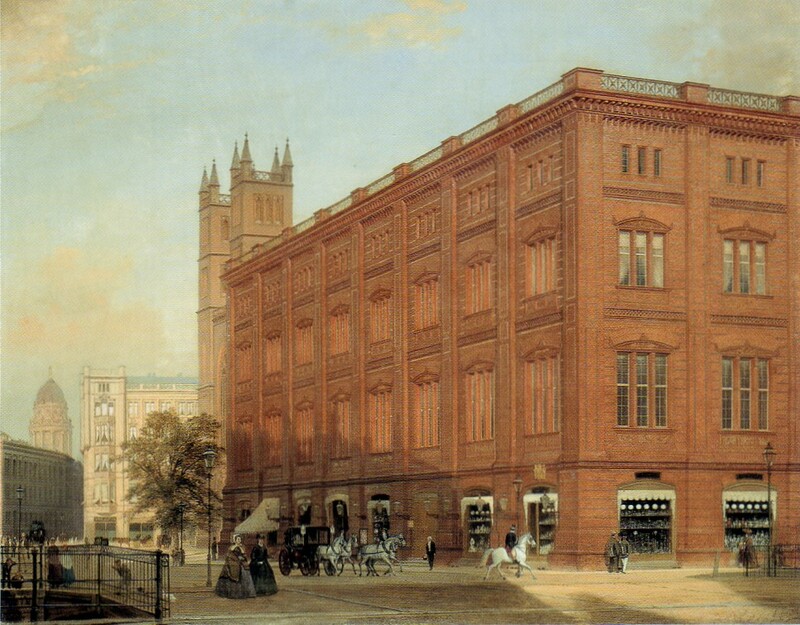 Picture of 1868 by Eduard Gaertner (1801-1877). Public Domain. In the foreground the Berliner Bauakademie of Karl Friedrich Schinkel. Directly behind the neo-Gothic Friedrichswerdersche Kirche. At the left behind there is also the Deutsche Dom (German Dome) visible. 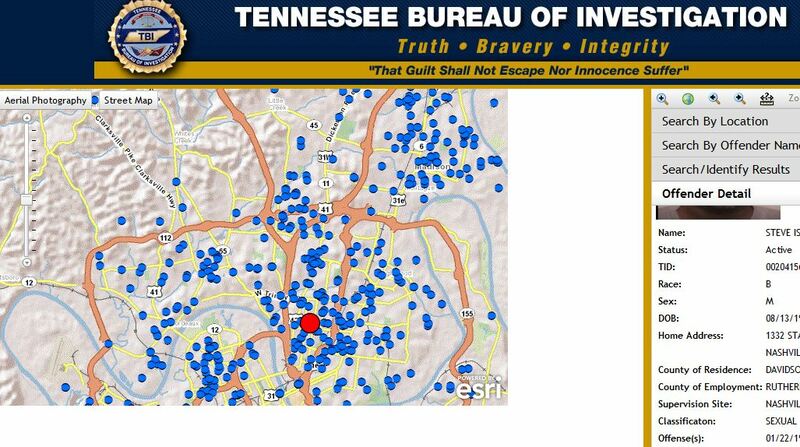 Screenshots of maps are mostly of Google Maps or Google Earth and the source is indicted in the text. 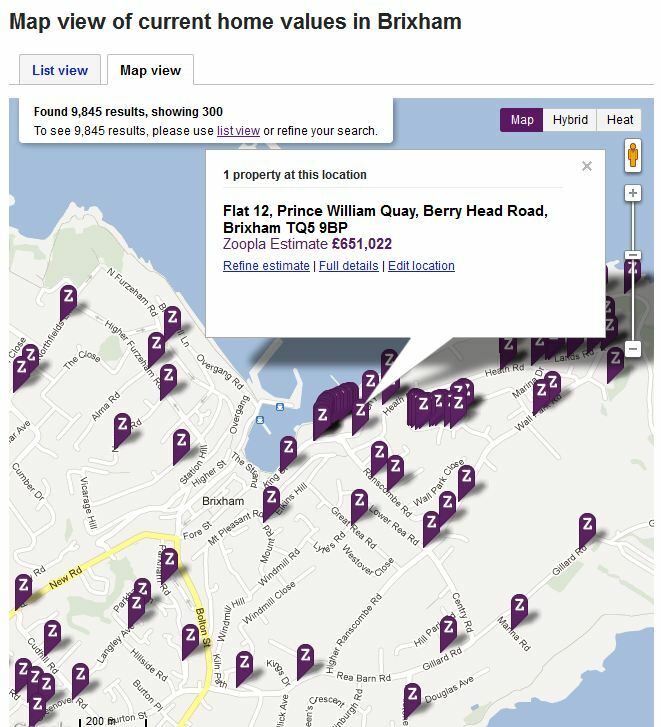 The real estates from Brixham, Devon are from „Zoopla – Smarter property search“ quoted. 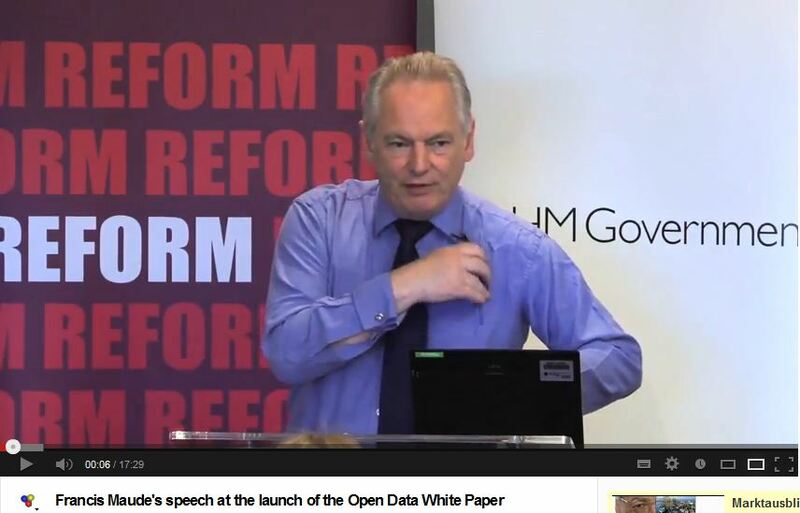 The picture of Francis Maude is a screenshot of Youtube from the cabinetofficeuk’s channel. Open Data Network: Von der öffentlichen Verwaltung zur offenen Verwaltung. 2010. Andrea di Maio, Gartner Group, Italy: Open Data Is Not for Sprinters. Comments are very welcome. Please fill in in the comments field or send a private mail to wk@wolfgang-ksoll.de. 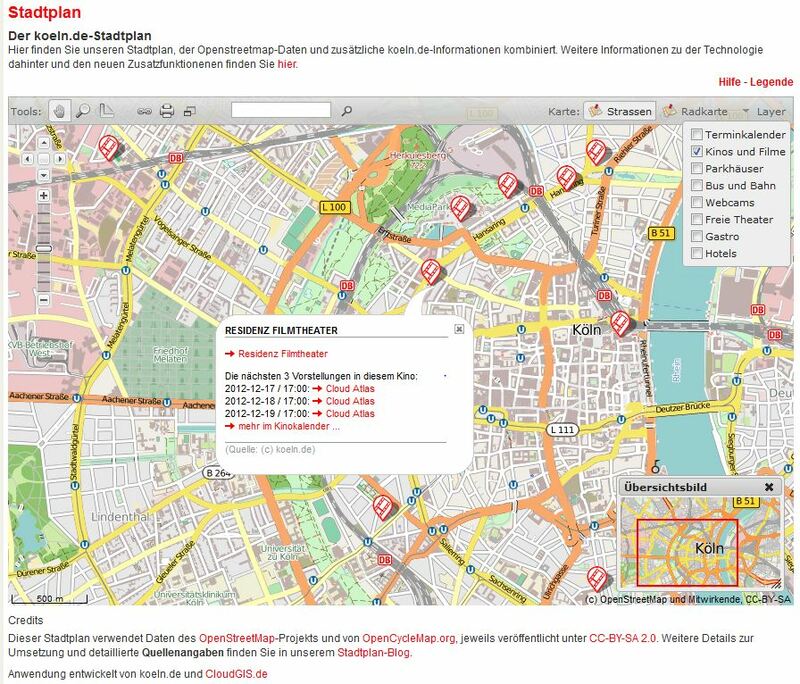 Dieser Beitrag wurde unter E-Government, Geo, Internet, Open Data, Uncategorized, Urheberrecht abgelegt und mit Datenschutz, E-Government, Google-Earth, Google-Maps, Open Data, Qual-Signatur, Urheberrecht verschlagwortet. Setze ein Lesezeichen auf den Permalink.